Drs. Padilla & Lee, P.C. "Our mission is to work hand in hand with our patients to maintain their dental health through education and a life-long care program." We understand that dentistry is often a neglected priority in a busy life. We focus on providing a comfortable environment with the personal attention you have been looking for. We will work with you to develop a comprehensive plan of action in order to design a smile that will last a lifetime. As a general dental practice, we offer a full range of dental services from preventive care to fillings and root canals to crowns, and implant restoration. Family dentistry is no longer just about a checkup and a cleaning--we can also address your cosmetic dentistry needs including tooth whitening (bleaching), bonding, and veneers. We are dedicated to upgrading our skills and investing in the latest proven technologies so that we can offer you cutting edge materials and services. 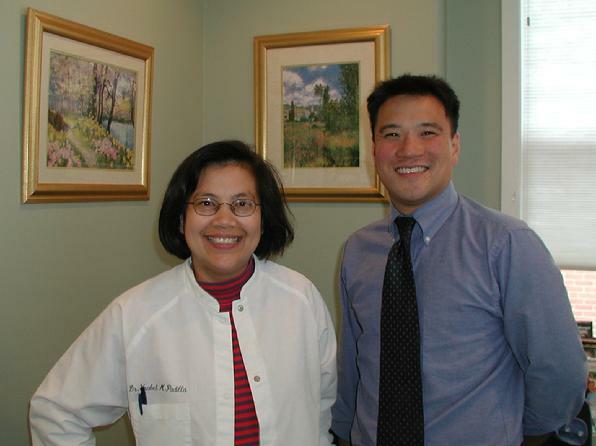 Dr. Padilla and Dr. Lee have received WCLI Laser training and certification in order that they can provide the advantages of laser dentistry to their patients. Dentistry is no longer only about tooth repair. Your teeth are a reflection of your personality and a bright, healthy smile will speak volumes about you. Drs. Padilla and Lee are Invisalign certified providers--it can be easy to straighten your teeth without band, brackets or wires. It is only through communication that we can achieve our goals, so we ask that you share any priorities or concerns that you might have. For those of you who have a dental phobia or are apprehensive about dental treatment, we ask that you take the first step by contacting us to discuss your fears and needs. Dental Technology is always evolving. As is the case in most fields, what is newest is not necessarily the best. We are always evaluating the latest developments in dental technology. We choose to invest in and incorporate equipment only after careful consideration of the benefits it would provide our patients. Two of the latest exciting technologies we have chosen to implement include the Waterlase Dental Laser System and the Orthophos 3 DS Digital Panoramic Machine. 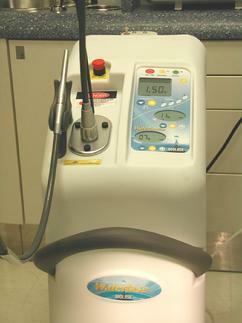 We believe that both laser dentistry and digital technology are vital to delivering the highest quality care possible. The Waterlase system uses laser energized water to gently and precisely remove a wide range of human tissue including enamel--the hardest substance in the human body. Since there is no heat or vibration produced when we are preparing teeth with the Waterlase dental laser, many procedures can be accomplished with no needles and no numbness. The laser can also be used to reduce the discomfort and healing time often associated with certain periodontal procedures. Pain from oral ulcers can be diminished or eliminated in seconds. The Orthophos system by Sirona, allows us to obtain a detailed digital image of your entire mouth or TMJ with only a small fraction of the radiation usually necessary. With the assistance of the Sidexis software program and computer technology, we are able to manipulate the image to enhance and highlight areas of concern. 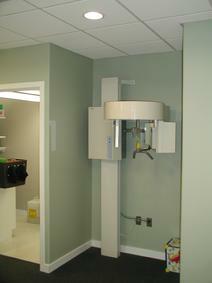 The panoramic radiograph can eliminate the fear of gagging and discomfort of traditional x-rays when appropriate.